For the love of stingless native bees. Dean is a friend of mind who is also very passionate about bees. 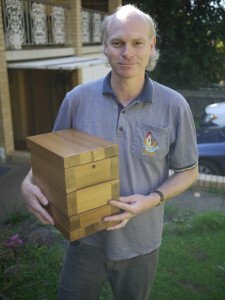 This page is dedicated to Deans work with Australian native sting-less bees. I would like to thank him for all the help and knowledge he has given me on my bee adventure. Hello and welcome. I have a few years experience with T.carbonaria and more recently T.hockingsi. 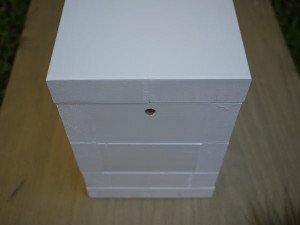 During this time I have made close observations of bee behaviour and have designed a new and unique hive that I am rather pleased with. 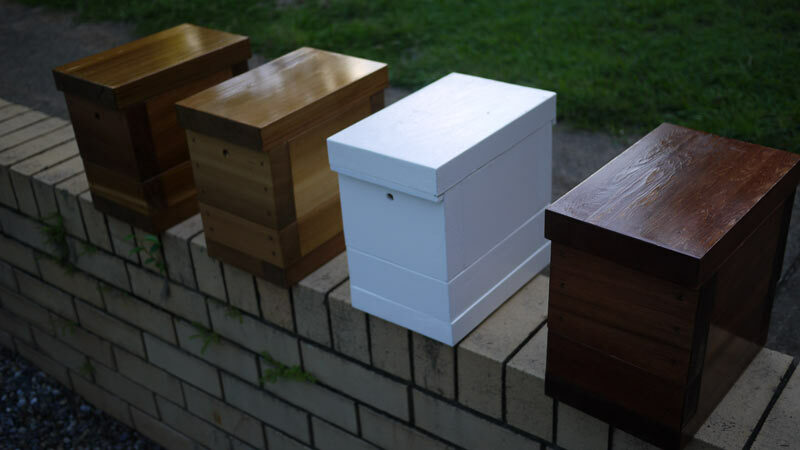 My DownUnder hive is designed to sit proudly on a families balcony, look great, and be completely accessible via a viewing window at the top of the box. These boxes are designed for maximum viewing and interaction with the bees. I think they are the best in the market in this respect. I am currently transferring bees into these new boxes and will have thriving colonies of happy bees for sale starting in late November. I commissioned Nick to build these boxes for me. I understand he is a third generation timber worker and it shows. The boxes are professionally constructed and sure to last for decades. 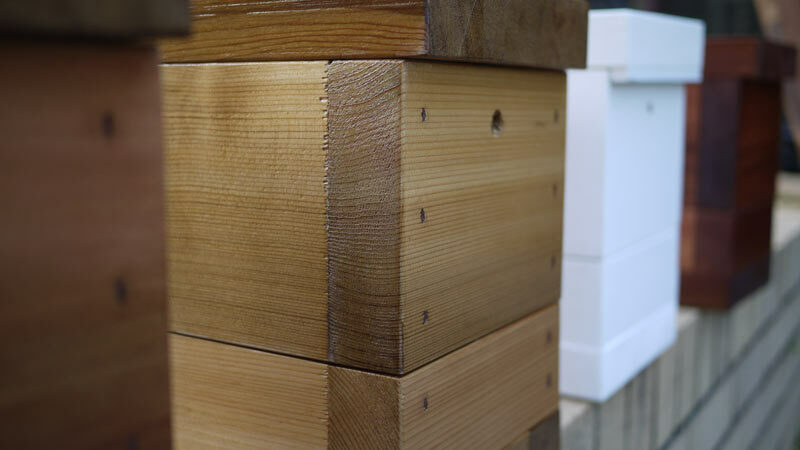 They are marvelous.
. Western red cedar – superior insulating qualities and looks great.
. Removable lid and clear inspection panel – allows you to look at your bees as often as you want without spilling honey or squashing bees. See the queen lay an egg. Observe the true workings of the hive.
. Top entrance – Observe your bees greeting friends and defending against enemies. See what bees do with the pollen and nectar they bring home.
. Honey super on the bottom – Enjoy delicious sugarbag honey. Impress your friends. Simply wonderful with vanilla ice cream.
. Clear timber finish – Four coats of marine varnish offer superior UV and weather protection. (I had to do a clear finish with these boxes when I saw how superbly the timber was presenting itself. Volume – 5.7L is a goldilocks volume for carbonaria. Not too big and not too small.
. 3.5cm walls – for insulation. 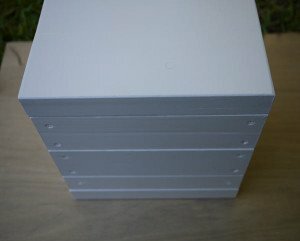 I have recently been working on a new box design. Have a look at them and feel free to post a comment about what you think. My best example of temperature control in carbonaria brood. 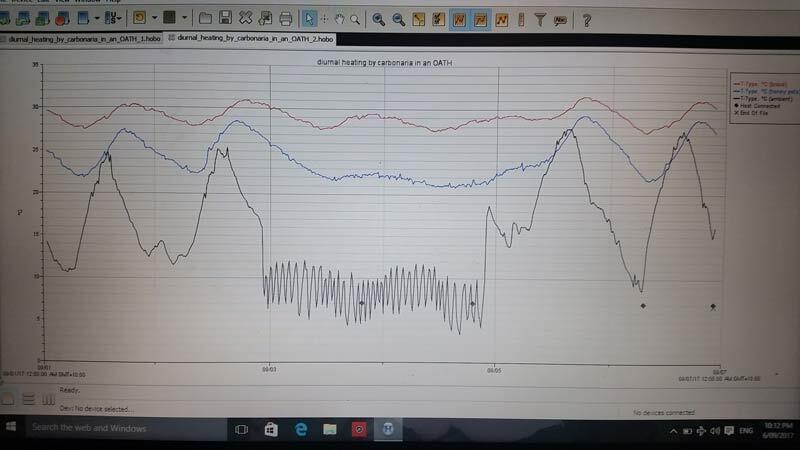 My OATH box has a temperature probe in the brood (red trace) and in the honey pots (blue trace). The black trace is ambient. In Sept 2017 the box was kept in my yard for 45 hours, my fridge for 48 hours and in my yard for a final 48 hours. The box was insulated with Styrofoam on 5 sides when in the fridge. 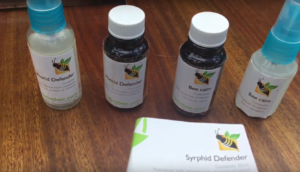 Where can stingless bees live? 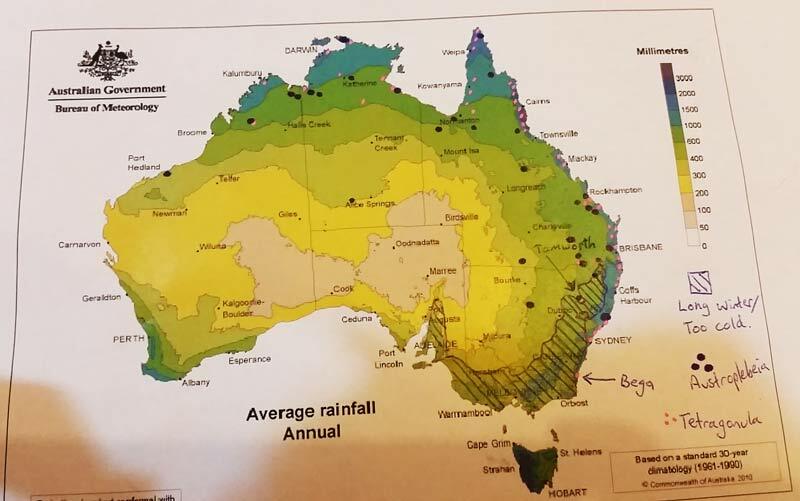 This map is a combination of Ann Dollins map plotting rainfall and bee distribution, as well as my research regarding temperatures, and explorer and early settlers stories. It seems that blue and dark green rainfall regions suit Tetragonula, while dark to medium green regions suits Austroplebeia. Working with this theory, Austroplebeia could potentially be used as a pollinator in the Murrambidgee Irrigation Area around Griffith where more than one quarter of Australias fruit and vegetables are grown. If you are keen to trial stingless bees in the MIA or Mildura Irrigation areas please feel welcome to contact me. I’d like to thank Nick for building these hives for me, and the inspirational Bob the Beeman. I first saw a top of box entry in one of Bobs display hives. He has many wonderful photos too. im interested in getting a down under bee box. I got my TC bees about a week ago. 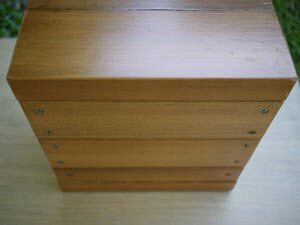 Very pretty & well constructed box Nick, with lots of good features. A quarter inch copper pipe in the side top rear area of box that is brazed off on the internal end. 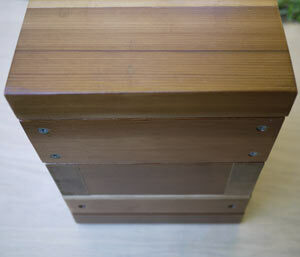 This would allow a temperature probe to be inserted & the internal hive temperature measured. 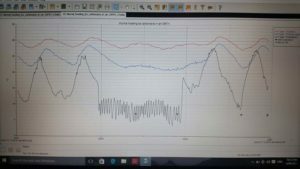 A temp probe can be purchased for about 3-4 dollars delivered from ebay. My wife recently came home with ASB info from the Strathpine garden show. We live in Bald Hills. A few comments have just come through. I seem to be getting a few comments regarding the price of bees or if I even sell bees. I’ll contact the recent posters by email. Nice to hear from you all. Christine, I would love to collect the honey from your hive once it’s up and running. There is a huge resource out there in peoples back yards and the markets include health food stores, restaurants and even export markets. As a guide the wholesale price for honey (I will pay you) about $30 / litre. I’m after both carbonaria and hockingsi honey. They are quite different from one another. Let’s share our beautiful honey and let Aussies enjoy it. 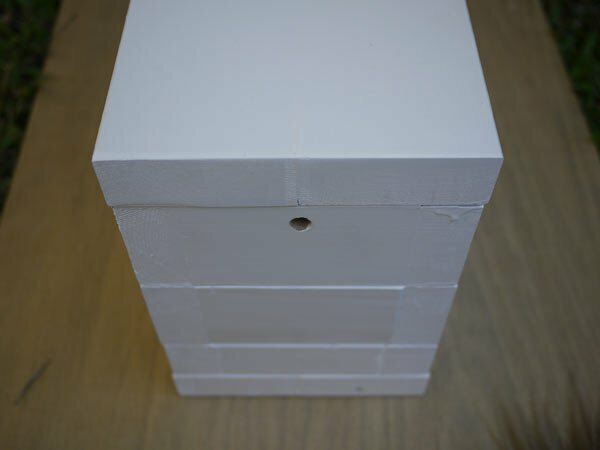 I get many questions if you can buy brood, put it in an empty box and make a small colony. Sorry folks that won’t work, I wish it would. 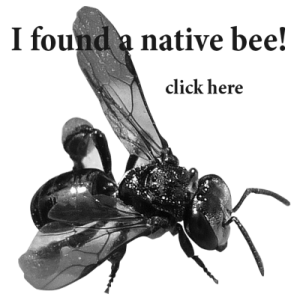 You need about a thousand worker bees as a minimum and more brood than I supply to make a hive using the Brazilian Method. 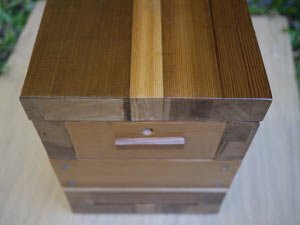 My brood is good if you are trying to requeen a hive with no queen, and is also great if you are trying an eduction. I get many emails from people wanting hives or asking to be put on waiting lists. I’m a pretty small operator so I don’t do waiting lists. People would be waiting too long. My sincere apologies if I don’t answer every email as soon as it comes in too. I’ll be adding a couple of short videos to Dean’s Stuff soon. 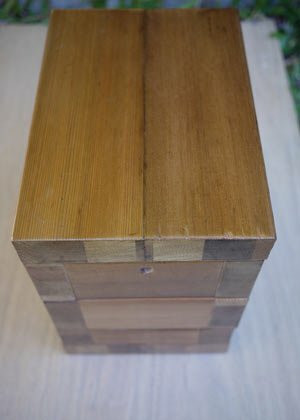 How to use brood & transferring australis queens. Hi Melanie. Don’t think we can manage this by Christmas. Would you know what a “WRC” is? It is mentioned in Facebook discussions, I think it may be a special type of hive.